They just repacked an older version of Ironman with very minimal painting effort for both. And just look at X's face. Yeah, they were at a bunch of stores when they came out but now even looking online they are sold out every where. Typical Nintendo to not keep ANY product they sell in stock. My closest Gamestop sat on that Metroid 2 pack for weeks after it came out. I saw it a couple times at Best Buy, and once at a TRU. I saw some of the new Mario amiibos that are due out Friday already on the shelf at a couple Targets. 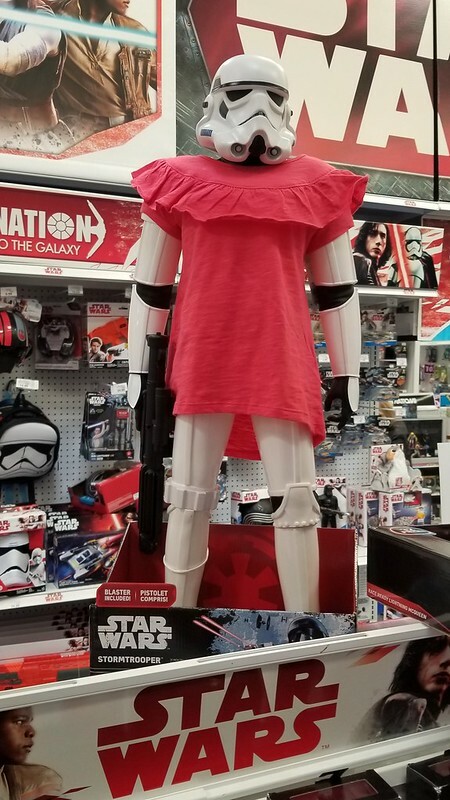 Target ALWAYS seems to break street dates on them. I think they think all the games stuff comes out on Tuesday , but Nintendo stuff is usually dated for Fridays. oh ok i gotcha! thx! no pictures, but i saw the paladins for voltron legendary defender at a local walmart last night, but after i saw a review of them on youtube about their paint apps....i passed! Went and checked out the toy section at the local Walmart. Is there some kind of meme involving Falcon with his head missing that I'm not understanding or something? I'm not sure I'd find this as funny if there wasn't three. 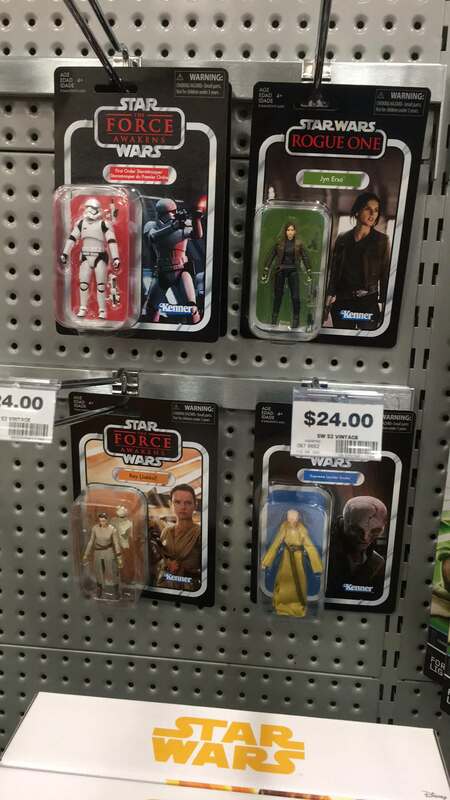 They also had Star Wars Black Series 6 inch for 5 dollars on rollback and I was very, very tempted to pick up Kylo Ren and Old Man Luke but couldn't bring myself to do it. Went and checked out the toy section at the local Walmart. Is there some kind of meme involving Falcon with his head missing that I'm not understanding or something? I have been seeing the missing Vulture head thing at multiple stores as well. 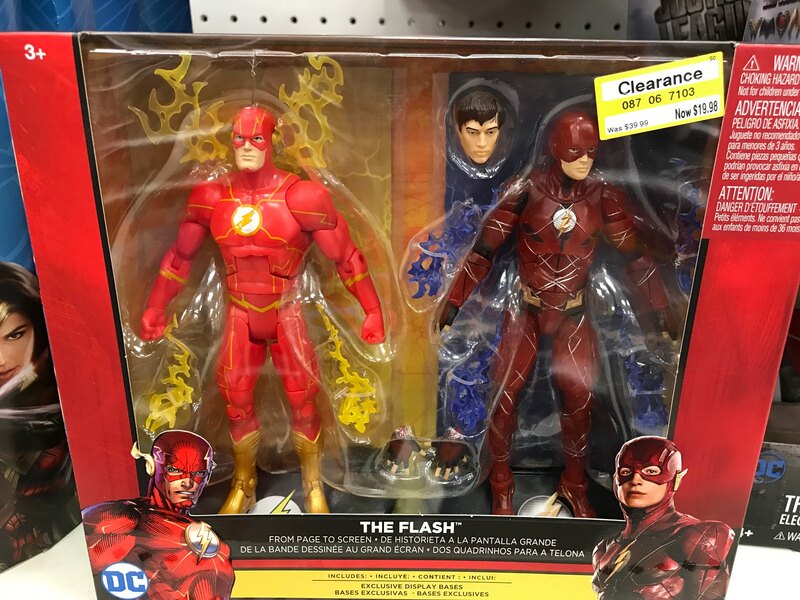 I don't know if it is just something people are doing or if the QC on the neck peg is just that bad or what but I have seen this at at least 4 different stores now. wow..i forgot about this thread. haven't posted in here in a minute. Was really tempted by this clearance, but I'm strapped for cash right now. Last edited by Nitelife; 04-15-2018 at 02:12 PM..
then saw the fallout figures at gamestop! army builders maybe? Dewback will probably be half that price or less in a few months. I thought I was getting a good deal on the speeders at $30, but they eventually could be found less than that. The TIE you can probably get around $75 still. Have any Gamorreans been seen in the wild? 24$ for a 3.75 figure?! My local Walmart finally got in the Lizard wave of Marvel Legends. I live in Indiana and we just seem to get every wave of figures last since it's pretty much the middle of the country and everything works it's way in I think. Regardless, I was very tempted to pick up Gwenpool and even put it in my cart and then changed my mind and went and put it back at the last minute because I've only read a few of her books and I just couldn't' bring myself to do it. any idea what the winged thing is on the back? The Milano is the ship used by the Guardians of the Galaxy from the first movie. oh ok thx! didn't see one there, so it was kinda hard to tell from the back of the package! They were $5.67 in Walmart here in Maine. 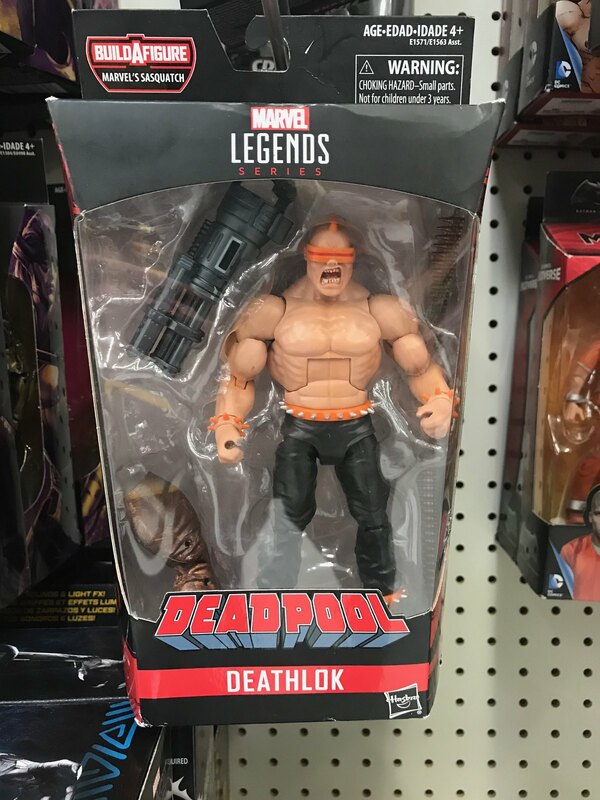 This is the kind of ish I see at my Walmart's when hunting for Cyclops (still have never seen that fig in person). The Walmarts near me just now got Cyclops in recently. I'd suggest keep checking back, as that specific line is generally fairly common, it may just take a while for it to hit your stores locally due to the shipping processes involved. No no no, that's not the San Franciscan variant, that's the transitioning variant, the San Franciscan variant is dirtier and has his hand out with a "can you spare some change" electronic feature. I KNOW, RIGHT!? I guess this fine repacker thought keeping the Cull BAF torso would just be wrong. That's good ole fashioned Southern Hospitality.